Leader of the NLL and NEUF, member of the FAC, advocate and representative on the Cape Town City Council. Zainunnisa “Cissie” Gool was born in Cape Town in 1897. One of South Africa most popular and renowned female political leaders,Her father was the prominent politician, Dr Abdullah Abdurahman, leader of the African Peoples Organisation (APO) which he had helped to form in 1902. Abdurahman was also the first black South African to be elected to the Cape Town City Council in 1904.She attended Trafalgar High School and later earned bachelor's and master's degrees from the University of Cape Town,then in 1962 a lwa degree which she had pursued part-time over years.In 1919 she married Abdul Hamid Gool and was thereafter always known as Cissie Gool. 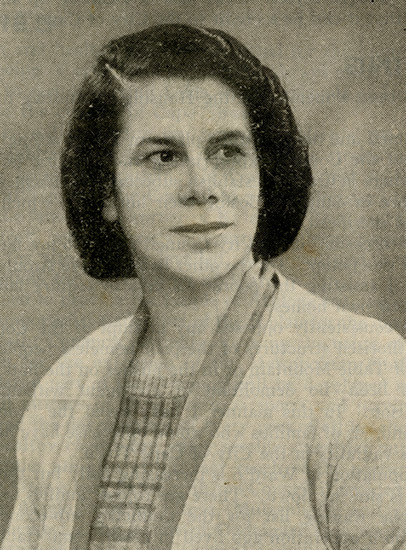 In 1935 she joined with Communist Party members Johnny Gomas and James La Guma in founding the multiracial National Liberation League(NLL),and served as its first president.In 1938,an offshoot from the NNL involving African and Indian leftists created a larger organization called the Non-Europe United Front,and Gool was again elected its president.In 1939 the NEUF staged a march in central Cape Town,estimated to invlove between 5,000 and 10,000 people, protesting new segregation measures,some of which were shelved as a result.Inthe same year,in an overhaul of the Communist Party leadership,Gool became both a party member and a member of its Politburo.Gool was elected to the Cape Town City Council in 1938,and remained a member until her death despite being a "named" communist under the 1950 Suppression of Communism Act. • Morris, Michael (2004) Every Step of the Way: The Journey to Freedom in South Africa. HSRC Press: Cape Town, pp. 210-211.